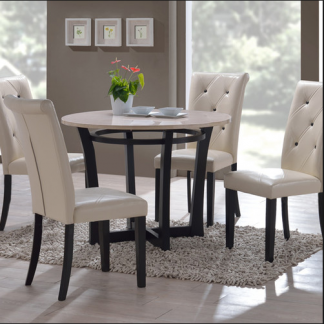 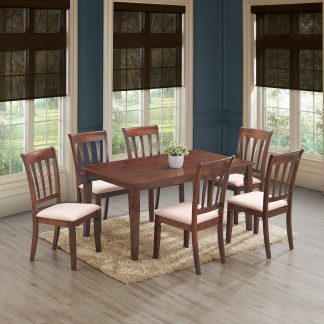 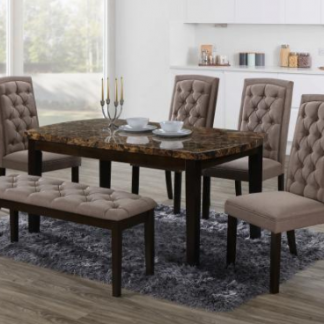 The Serni dining room table set elevates the art of modern style. 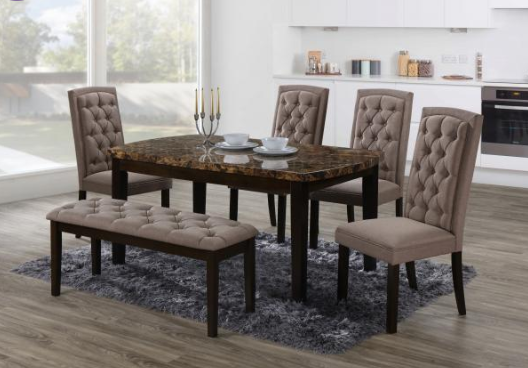 Its faux marble tabletop has a polished look that’s easy to clean. 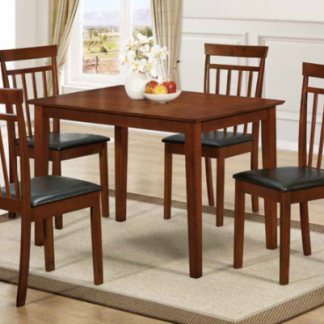 Cushioned bench and chairs encourage lingering meals enjoyed in comfort. 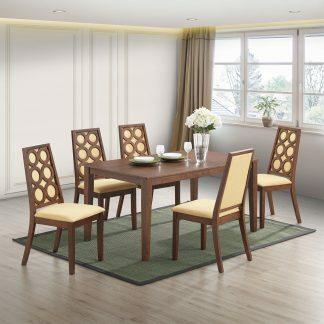 The elegant design and warms tones are a feast for the eyes.